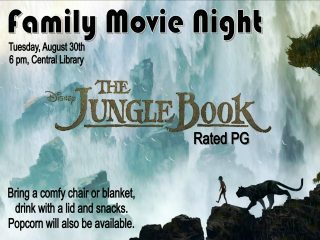 Join us for the showing of The Jungle Book. Bring a comfy chair or blanket, a drink with a lid and snacks. Popcorn will be available. Registration is NOT required. This movie is rated PG.